In 1971, Tanimura set up the musical group, Alice, along with Takao Horiuchi, and in 1972 produced his first extended play musical album. Two years later, they produced their first album from the musical group. During this time, Tanimura had also written several musical pieces for many famous and popular singers of that time, including Momoe Yamaguchi. 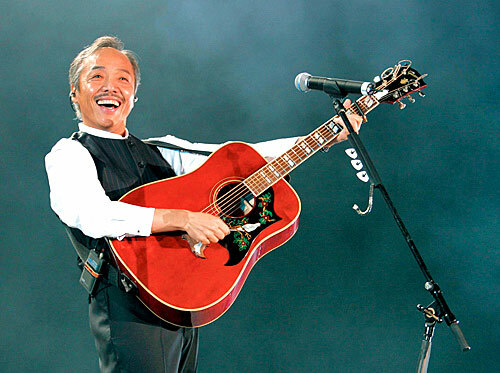 In the early 1980s, Tanimura started to move towards his singer-songwriter career and in 1981 he held singing concerts in places like Hong Kong, South Korea, Singapore, Thailand and Beijing. Some of the more famous singers from Hong Kong had also performed many of Tanimura’s pieces, including Jacky Cheung, Alan Tam, Anita Mui and Leslie Cheung. He had also once said that Leslie Cheung and Alan Tam were two of his closest friends from Hong Kong. In 1984, Tanimura, together with South Korean singer Cho Yong-pil and Alan Tam, set up Pax Musica to promote cultural exchanges of different countries and world peace. In 1987, after having left Alice, he wrote his famous piece “Subaru”, and mentioned that his inspiration came from his visits to Heilongjiang in China. Since then, he had been actively involved in organising performances to promote Sino-Japanese relations, including an invitation by the Japanese and Chinese governments to organise and perform at the grand 30th anniversary to celebrate Sino-Japanese relations. In 2003, he held a “‘Help China get rid of SARS’ music concert” and donated all the 15.34 million Yen he earned from the concert to China’s Red Cross Society to aid them in their efforts in fighting SARS. In 2004, he became the professor at Shanghai Conservatory of Music. In September 2007, he planned the friendship concert between Japan and China in Shanghai and he joined it. The concert was the 35th anniversary for the normalization of relations between Japan and China. He played the song Sarai etc. On April 30th 2010, he sang “Subaru” on the World Expo Opening Ceremony in Shanghai, China.